Many people wonder about the value of museum collections and the cost of keeping items from the past. This latest Stirling Smith acquisition, a magazine of 1960, tells us so much about the social history of the town. The art work on the cover dates to 1948 and was done by James Atterson (1898 – 1961), head of Art at the High School of Stirling whose style was so distinctive that it is immediately recognisable. Atterson was a public-spirited man who would design Stirling-themed images for organisations in the town and build and paint sets for theatrical productions. Between this and teaching, there was no time left over for his own art and only small works seem to survive. 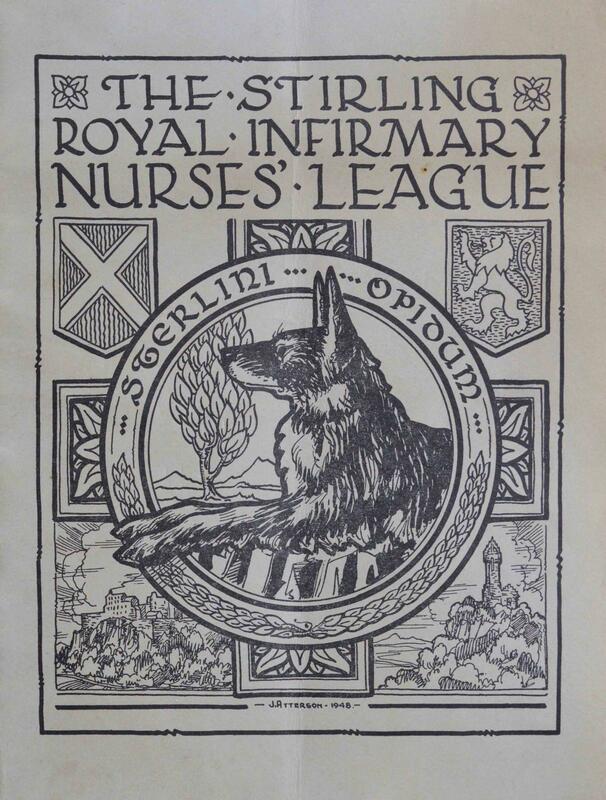 The Magazine records improvements in nursing and the names and addresses of the 300 members of the Stirling Royal Infirmary Nurse’s League, with their year of qualification, the earliest being 1904. The annual ball was in the Golden Lion Hotel. Among the medical improvements noted was the new Central Syringe Sterilising Unit, prior to which every ward boiled their own syringes, and the new Occupational Therapy Centre at Orchard House. In terms of history the magazine is priceless, though the cost was £2.99. It was secured by Friend of the Smith Frances Chatfield in the Oxfam Bookshop.